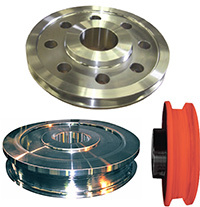 Irwin Car and Equipment, recognized for decades around the world as the expert in wheel assemblies and heavy-duty, rail-based material handling equipment, also supplies standard and custom crane wheels and sheave wheels for all applications. Available in diameters of 6″ to 36″ and up, we also design and manufacture custom wheels for your specific design application in any configuration. And our sales engineers are always ready to make recommendations when these wheels need to be integrated into complete wheel assemblies on time and when you need it. Our large inventory of carbon and alloy steel materials, coupled with our in-house rough and finish machining capabilities (up to 40″ in diameter), makes rush delivery and breakdown situations our specialty. Irwin Car and Equipment is dedicated to keeping your business moving and getting you back on-line because lost time is lost money. If you don’t have a written specification or drawing, Irwin has the ability to reverse engineer your part and produce it to original specifications to get you back on-line quickly and cost effectively. In addition to our new crane and custom heavy-duty industrial wheels and wheel assemblies, Irwin Car and Equipment is also able to repair and recondition your existing wheel & axle sets. 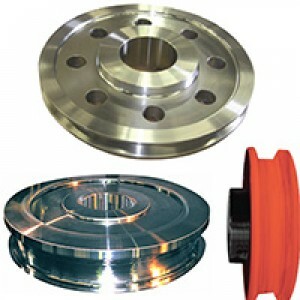 Whether your assemblies require new axles, bearings, bearing housings or a complete overhaul, Irwin Car and Equipment can get you back into production ASAP, often at a cost far less than buying new wheel assemblies, and they will be shipped back to you fully assembled, painted, lubricated and ready to install.